STACEY PATTERSON PHOTO The North Island Peewee Eagles won their first game at the Tier 3 Peewee Championships in Powell River. The Eagles kicked off the action with a goal from captain Lucca Stewart. The North Island Peewee Eagles won their first game at the Championships in Powell River. 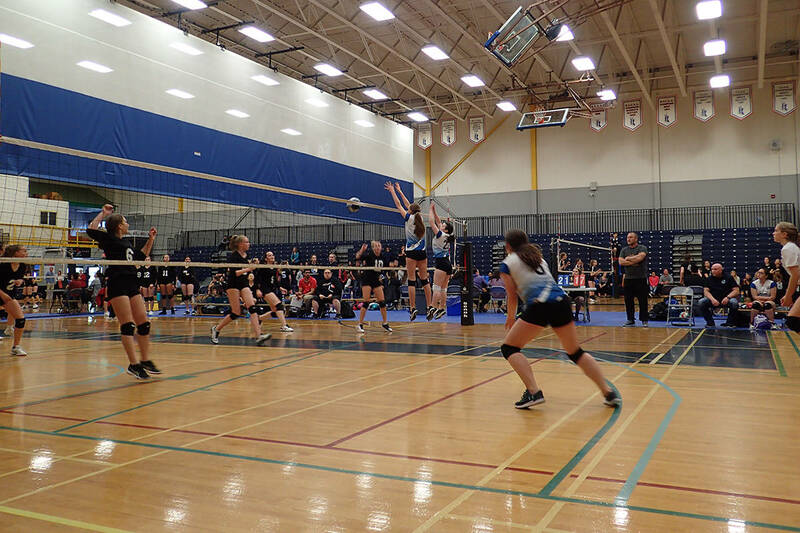 The Eagles had a first round match up against the Quesnel Thunder and it was a real nail biter that went right down to the wire. The Eagles kicked off the action with a goal from captain Lucca Stewart at 16:44 of the first period, assisted by Jack Barrett, and then added another goal from Zach Spafford at 14:34 to take a two-goal lead going into the second period. The Eagles continued to score in the second. Travyn Foster converted at 16:23, assisted by Isaiah Therrien, but that was when the Thunder answered back with a goal from Isaiah Bagri at 15:59 to make it 3-1. The Thunder would add two more goals from Austen Turner and Bagri by the end of the period to tie things up. The third period was downright intense, and it was the Eagles who would score first to break the tie. Spafford netted the puck at 16:15, and then Stewart scored his second of the game at 10:21 to give them another two-goal lead. The Thunder came roaring back with two goals of their own, but it was too little too late as Barrett scored at 6:28 to clinch a very close 6-5 win. The Eagles were back in action on Monday against Dawson Creek and Whistler.